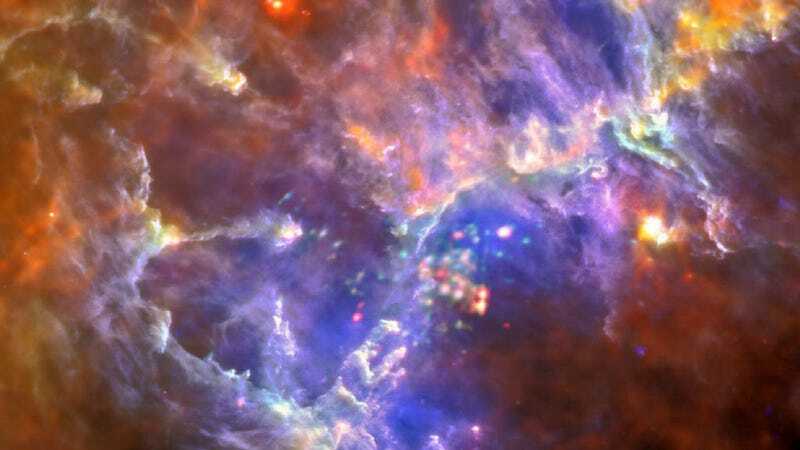 THE EAGLE AT THE START OF CREATION | The best image yet of the Eagle Nebula, known as the "Pillars of Creation" for its finger-like pillars where stars are forming, via the Herschel Space Telescope. X-Ray data show the hot young stars at the center, while intrared data shows the surrounding cool gas and dust. Via NASA.